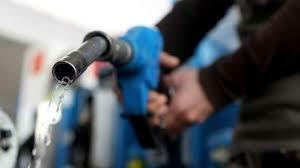 New Delhi, Feb 9 : Fuel prices continued to decline on Saturday as petrol and diesel are retailing at Rs 76 and Rs 70 mark in major cities across the country. In national capital Delhi, petrol is being sold for Rs 70.28 per litre while diesel costs Rs 65.56 a litre. In Mumbai, a litre of petrol costs Rs 75.92 while diesel at Rs 68.65 per litre. According to Indian Oil Corporation website, petrol and diesel cost Rs 72.39 and Rs 67.34 per litre in Kolkata. Similarly, in Chennai petrol is retailing at Rs 72.95 and diesel Rs 69.25 a litre. The price of the two fuels retailing at the petrol pumps is calculated after adding central excise duty, dealers commission and value-added tax (VAT) to the base price.